December 2012 G8 of the month winner, hazer396! Congrats! Good lookin car man. well deserved. Saw this car in person at G8gone and it even represented the v6's at the track at Cordova as well. What will he do with the prize money? FORCED INDUCTION. Oreo the G8, First V6 to V8 Swap! BC Racing and BMR/6;4 Brembos/Tons of Carbon Fiber Goodies/HRE FF01/Much more! Hey what type of rims are those? Great car that is pushing the V6 envelope, great guy, one of the worse car pictures I've ever seen. What is with the chopped off people in the background? Sorry, but if you are going to enter, at least use a decent picture. But it does say something about his car, if you can win with a picture like this, you have had to do something right. Congratulations! Nice ride, looks great! 2008 G8 GT, Vararam, H&R's, Straight Pipes, Pace Setter Long Tube Headers, Pat G tune, Pat G custom cam, DOD delete from pace performance, TSW Valencia Wheels; 20X10 Rear, 20X8.5 Front, Brembo brakes with drilled and slotted rotors, 5% tint "So you can't see up in my windows! 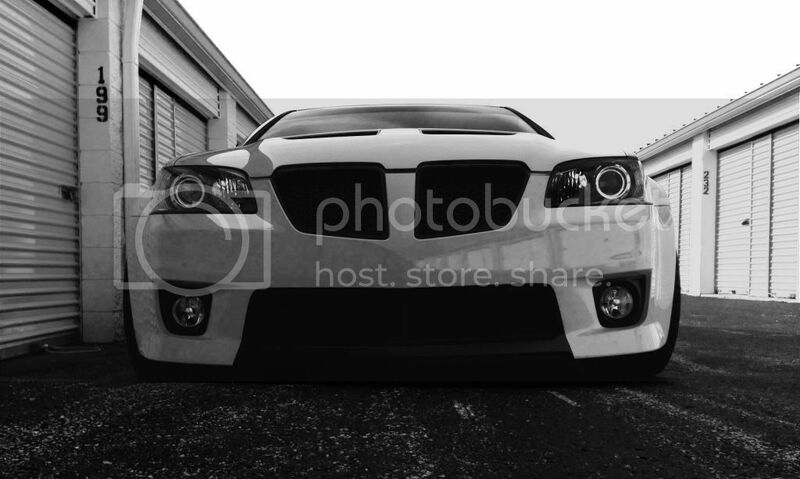 ", debagged, Smoked out, GXP diffuser, GXP front facia, HID Kit 12K, HPJUNKIE HID fogs, and more to come! Congrats Hazer,love the color and scheme!!! Congratulations man! I love those custom headlights you have on it. 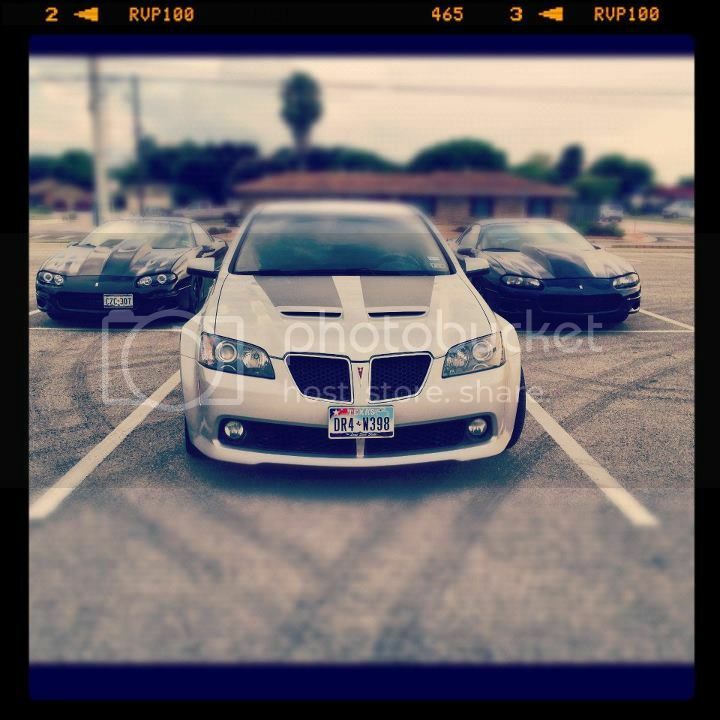 That's a really nice G8! Congrats. Congrats fellow Chicagolander! You deserve this.